Choose Us? What Makes Our Locksmiths Special? 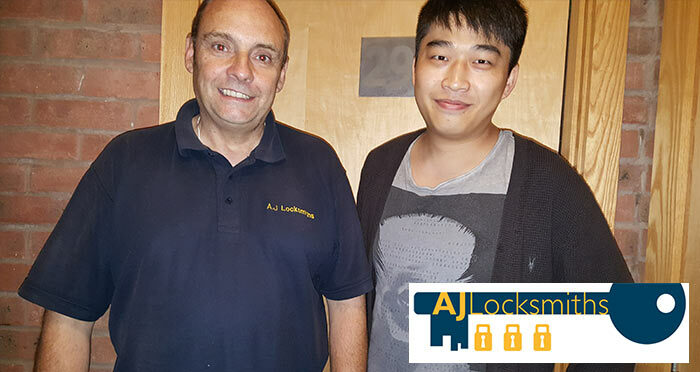 We have always set out to provide you with a professional experience with AJ Locksmiths Leicester. That’s why being friendly is really important to us. We don’t just cater to the general public. We also serve businesses on a regular basis when they have lock problems. Our commercial locksmith service is ideal if you’ve been locked out of your premises, have suffered a burglary, or simply want to upgrade your security system. Call us today for a free quote, with no pressure or obligation.